I got the horses in the back. 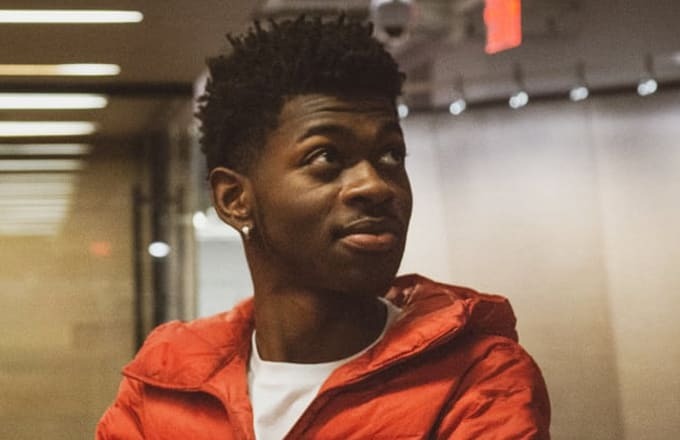 Lil Nas X now has the largest single week streaming record in he U.S.. The 19-year old's viral hit "Old Town Road," which was propelled by a remix from country music legend Billy Ray Cyrus was streamed 143 million times in one week - surpassing Drake's previous record of 116.2 million for "In My Feelings." The genre-crossing track spends its second week atop the Billboard Hot 100 chart. Old Town Road is both Lil Nas X and Billy Ray Cyrus' first ever number one record. At 56, Cyrus also becomes the oldest artist to land a No. 1 record on the Hot 100 this century. Additionally, "Old Town Road" tops the Digital song sales, Hot R&B/Hip-Hop songs with 124,000 downloads, the biggest weekly total since Drake's God's Plan, which racked up 127,000 downloads opening week. The song was also on Billboard's country chart before it was controversially taken down for not meeting country music standards. Lil Nas X's Old Town Road hit mainstream media after the song became insanely popular on Tik Tok. The Atlanta rapper uploaded the song to TikTok himself, and credits the app with its success. "I promoted the song as a meme for months until it caught on to TikTok and it became way bigger," he told Time. Tik Tok is a short-video sharing app.